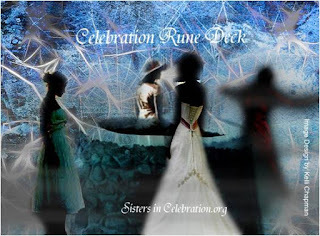 The purpose of Sisters In Celebration is to assist women in bringing the sacred to the present moment, by empowering women to live strong, powerful lives, through honoring and celebrating life cycles, celebrating and exploring love, pleasure and sexuality, and integrating spirit, awareness and wellness into everyday life. 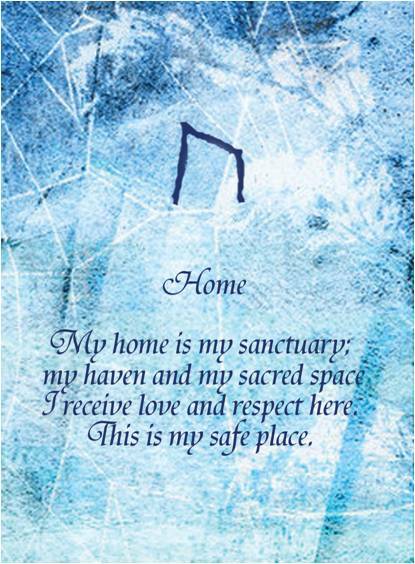 The Celebration Runes were positively created from a place of love and celebration. During the Sisters in Celebration 2009 gathering, we became spiritually stirred to birth forth a new Hera-tige to grow and learn from. We love this lil deck so much that we want everyone to be able to afford a deck. In order to keep costs as minimal as possible, we have chosen to make these decks available at cost through a third party. Oracle: Selecting one card (or more) to gain insight on a situation or feeling. Magic: Using the symbols as another correspondence to enhance a working. Sigil Work: Using one or a combination of runes to create a symbolic form for the unconscious to assist in manifesting intention.Meditation: Drawing one card (or more) to check in with yourself. 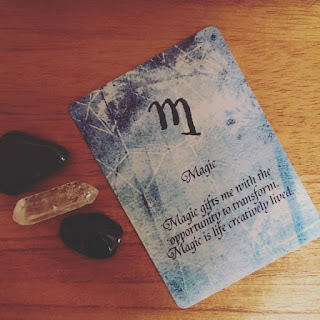 Affirmation: Drawing a card to set intention with the empowering message on the card.